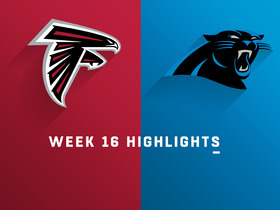 Analysis: Love played in all 16 games for the Panthers in 2018, recording 19 tackles (12 solo), one sack and three forced fumbles. The 32-year-old veteran played 400 defensive snaps, which was his highest total since 2012. Love will continue to provide depth for the Panthers' defensive line next season. 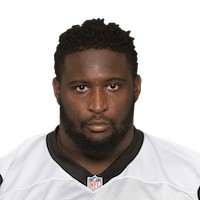 Love logged three tackles (two solo), one sack and one forced fumble, which he also recovered, during Sunday's 24-10 loss to the Falcons. 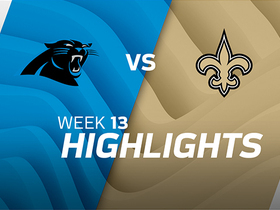 Analysis: Love notched his first full sack of the season during the Week 16 loss. The 32-year-old veteran has played 400 defensive snaps this year -- his highest total since 2012 -- and he's already logged more forced fumbles (three) this season than he had in his entire career. Love had 16 tackles and a career-high 3.5 sacks in the 2017 season. Analysis: Love filled the role of a rotational defensive tackle, rarely playing more than 25 defensive snaps in a game. 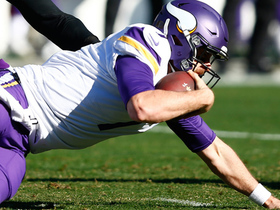 The 31-year-old was able to play all 16 games for the first time since the 2012 campaign, showing he can still handle the rigors of NFL play at his age. 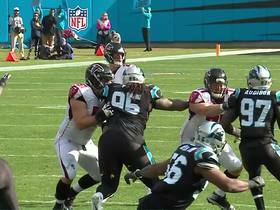 Carolina Panthers recover a fumble from Atlanta Falcons quarterback Matt Ryan after Carolina Panthers defensive tackle Kyle Love slaps the ball out of Matt Ryan's hand. 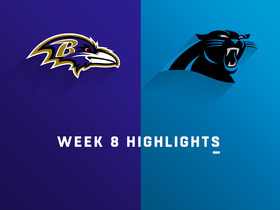 Carolina Panthers defensive tackle Kyle Love greets Baltimore Ravens running back Alex Collins at handoff to force fumble and Carolina Panthers defensive tackle Vernon Butler recovers the fumble in the red zone. 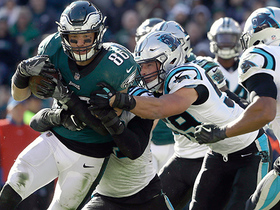 The Carolina Panthers defense get to Philadelphia Eagles quarterback Carson Wentz and force a fumble to win the game. 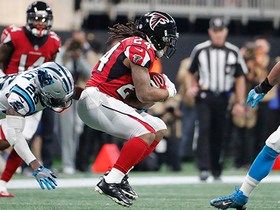 Atlanta Falcons quarterback Matt Ryan throws a quick screen pass to running back Devonta Freeman and Freeman squeezes through defenders for 26 yards. 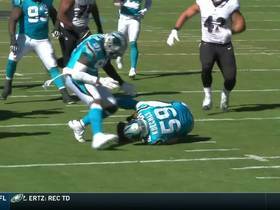 Carolina Panthers defensive end Julius Peppers takes down Minnesota Vikings quarterback Case Keenum and pushes the Vikings out of field goal range. 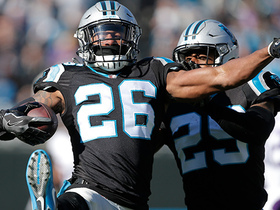 Carolina Panthers cornerback Daryl Worley steps in front of Minnesota Vikings wide receiver Adam Thielen and leaps up for the interception. 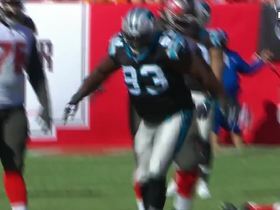 Carolina Panthers defensive tackle Kyle Love sacks Tampa Bay Buccaneers quarterback Jameis Winston after using a spin move to get through the line.